The good news is that anxiety, guilt, pessimism, procrastination, low self-esteem, and other 'black holes' of depression can be cured without drugs. 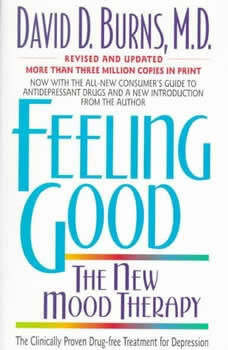 In Feeling Good, eminent psychiatrist David D. Burns, M.D. outlines the remarkable, scientifically proven techniques that will immediately lift your spirits and help you develop a positive outlook on life.Now, in this updated edition, Dr Burns adds an all-new Consumer's Guide To Antidepressant Drugs, as well as a new introduction to help answer your questions about the many options available for treating depression.Recognise what causes your mood swings.Nip negative feelings in the bud.Deal with guilt.Handle hostility and criticism.Overcome addiction to love and approval.Build self-esteem.Feel good everyday.Please visit www.feelinggood.com to access supplemental materials, the Feeling Good Podcasts, the Feeling Good Blog, and more!